The number of people with diabetes is on the rise in the UK. It is alarming that in the last five years the number of people suffering from diabetes in Britain has risen by nearly 700,000! We now estimate the number of diabetics in the UK to be around 3.7 million (Diabetes UK figure). 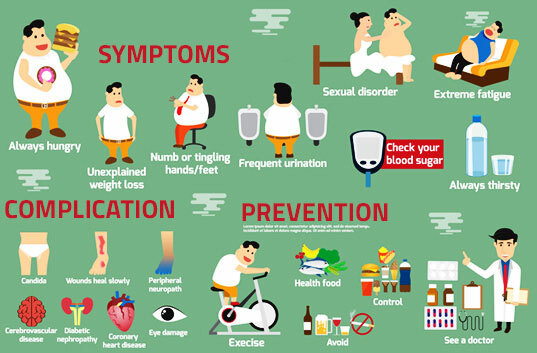 Diabetes is a long term condition that causes a person’s blood sugar (glucose) level to become too high. The hormone insulin, produced by the pancreas, is responsible for controlling the amount of glucose in your blood. A full list of symptoms can be found here on the NHS website. Be sure to make an appointment with Dyfi Valley Health if you think you have these symptoms! We can help! It is obvious to say that prevention is better than the cure (or the ongoing treatment in the diabetes case). We have produced an easy to follow list of how to prevent diabetes. Manage Your Weight – reducing body fat and cutting out sugar and refined carbs from your diet will significantly reduce your risk! Drink Water – It sounds obvious doesn’t it! It will also minimise how much fizzy drinks you consume too. Healthy Diet – It is simple and you have no doubt heard it a thousand times: cut down on sugar, eat more fibre, consume less carbs and eat fresh fruit and veg. Exercise – If you get no, or very little, physical activity in a day then you need to start getting active.